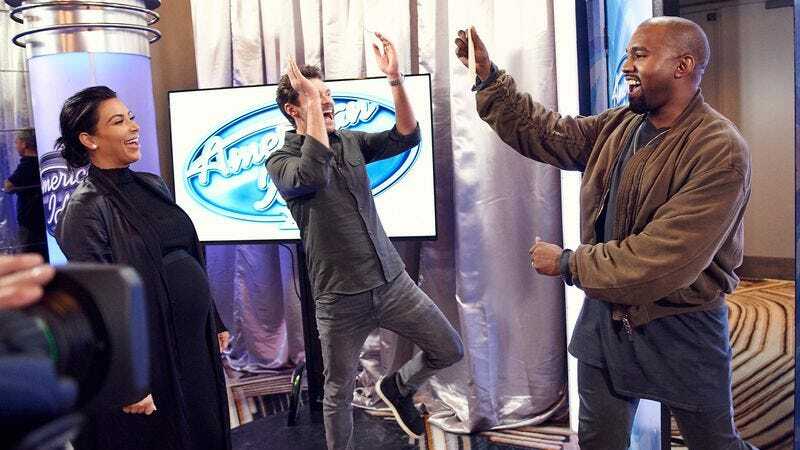 Because, like the hope of being discovered and becoming a huge star, the desire to watch bad singers humiliate themselves on TV is eternal, Variety reports that after a year off the air, American Idol is set to return on ABC. The network snatched the show out from under its original network, Fox, as well as NBC, which had also been in talks to revive the series. Sources tell Variety that ABC is hoping to bring American Idol back this coming March, and that Kelly Clarkson is in talks to join the revived singing-competition series. One thing that’s not clear at this point is whether host Ryan Seacrest will be back, given that he recently relocated to New York for a gig as Kelly Ripa’s Live! co-host, and American Idol has always been filmed in Los Angeles. If this whole thing was an elaborate plot to remove Seacrest from his post without firing him, then well played. Unnecessary, really, but well played.